Hannah is a seventeen year old from Moldova who has lost both her parents in a bombing. She is brought to the United States by an “agent” and believes she will make $400 per week watching children and going to school to learn English and finish her education. This book shows slowly but surely how Hannah learns the real truth behind her trip to the United States. She toils long days doing housework and watching Maggie and Michael while their mother studies to become a doctor. Her husband Sergey is involved in some kind of shady business. Hannah is not allowed outside, she must speak only Russian to the children and the family is not paying her. As Hannah remains isolated, she uses her inner grit and determination to survive this slave existence. 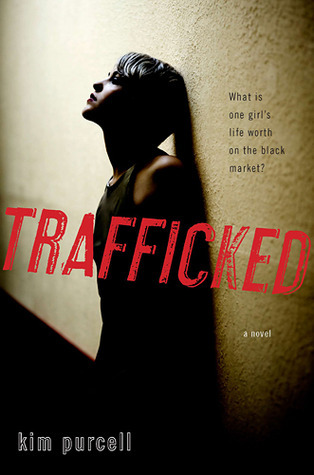 Sign into Goodreads to see if any of your friends have read Trafficked.